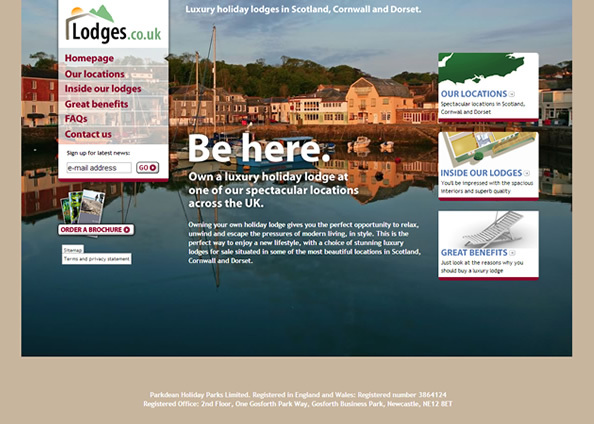 The Lodges.co.uk website is used to promote the range of luxury holiday lodges available at holiday parks in Cornwall and Dorset. The branding of the business had recently been given a refresh, and a new website was needed to reflect the new elements of this such as logo, colours, typeface and image style. The old website was several years old, and was beginning to show it’s age in terms of design and usability. We were tasked with creating a new website that reflected the quality of the product, as well as helping to showcase the lifestyle aspect of purchasing a luxury holiday lodge. The new website provides easy access to important content such as information on park locations, descriptions of specific lodge models and virtual tours of the lodges. 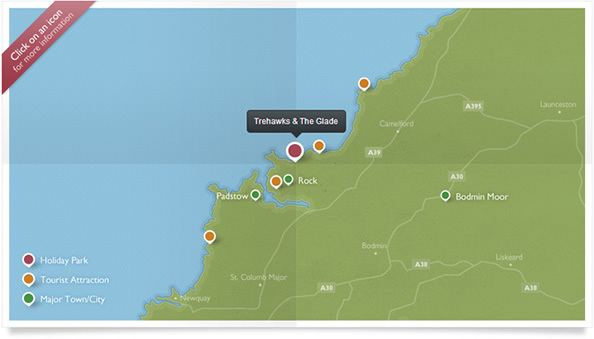 We have also created interactive maps that provide the user with a quick and easy way to see what’s nearby each of the parks. 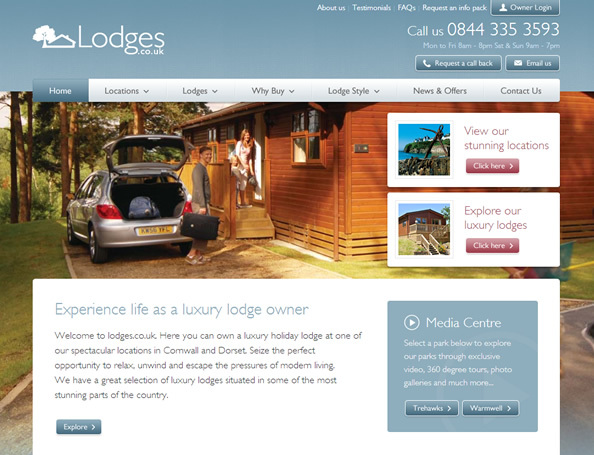 The website was built using WordPress, and allows the Lodges team to control the majority of text and imagery across the site. In addition to controlling page content, there is also the ability to add, edit and delete news in a dedicated section. We have also developed some bespoke functionality that tracks all correspondence via the site, allowing the Lodges team to more effectively track user interactions with the website and easily access content such as form submissions and enquiries.